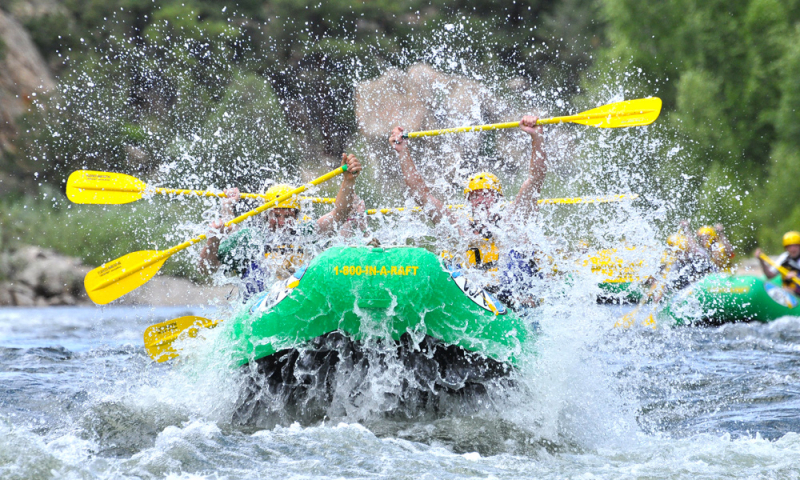 This 2 Day rafting adventure trip offers the most continuous white water available on a self-contained two day trip in Colorado. We start trips seven days a week for a perfect getaway from the cares of everyday life. 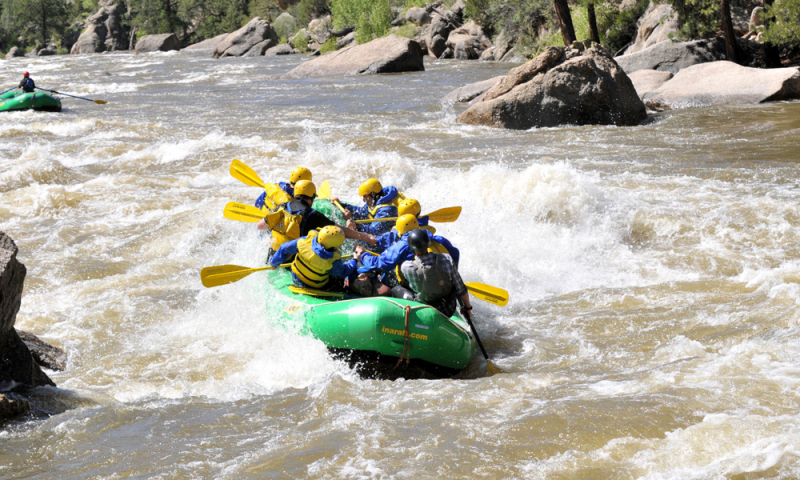 Included in this trip is the white water of both the Narrows and Browns Canyon Full Day trips. These sections have stunning views of snowcapped 14,000′ peaks, sheer canyon walls, and crystal clear deep blue skies. We love loading all the camping and rafting equipment on the rafts and floating to a beach that is not accessible from roads. You will experience the fun of self-contained overnight camping by the river without other groups around us. At the close of the day, your guides prepare delicious meals from scratch while you enjoy your evening, free from normal camp chores. After dinner enjoy a walk, play a camp game or go fishing. When darkness comes, lounge under a sparkling star filled sky while relaxing around a toasty campfire. Our comfortable sleeping bags and self-inflating pads help ensure a good night’s sleep in a cozy tent. 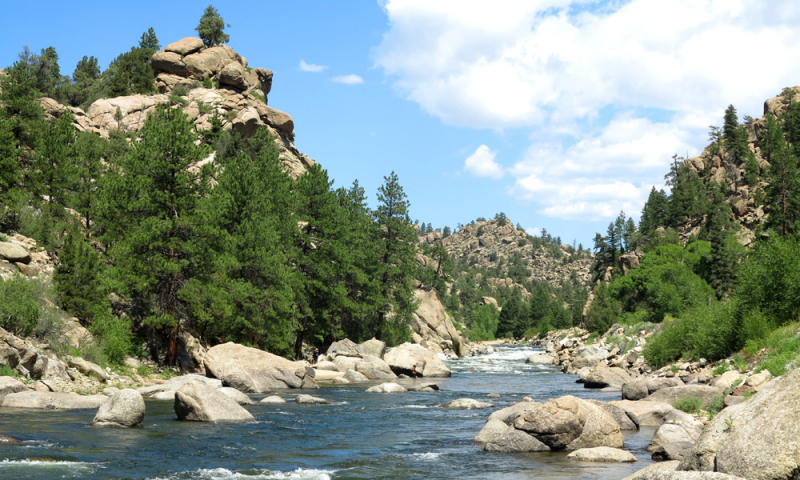 3 day Arkansas River adventures and 5 day Arkansas River adventures trips continue on past the 2 day ending point and offer you the opportunity to really leave the world behind. If part of your group would like to join you on your 2 day trip and continue down the river for 3-5 days, we can easily arrange that option. Price listed includes your lifejacket, helmet, guide, boat, overnight bag, portable chemical toilet, transportation to and from the river, continental breakfast, all meals from lunch on day 1 through lunch on day 2, and snack after the trip. The prices listed do not include 9% land and water access fees, cold weather rentals, camping rentals or guide tip.